4 | 686 students enrolled. Financial Market Expert is a unique course that acts as the guiding stone for your path towards understanding various facets of the financial market. This is one of the best financial market courses and a powerful knowledge bank on various methods and techniques which will help you understand the functioning of capital markets in detail. Financial jargons like Equities, Fundamental & Technical Analysis, Options Trading, Mutual Funds etc are covered in this course. 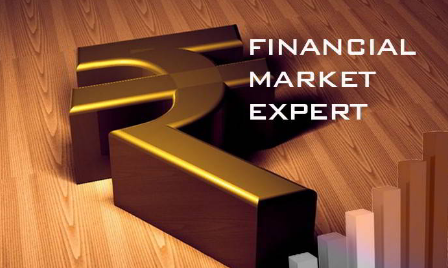 Before anyone decides to invest or trade into any asset class, some degree of basic knowledge about that instrument & that market is necessary – this course on financial markets will assist them to take the right decisions & not lose money by blindly investing based on advice provided by the so-called market pundits. Also, enable the students to learn what the main financial markets and their characteristics are as well as how they are linked to the economy. Students enrolling for this course will be able to gauge their understanding by appearing for tests designed after each session to check and ensure the level of understanding. After going through the course you will be able to interrogate whether markets can function efficiently, and what factors might mitigate against this. Financial Market Expert (FME) is useful for fresher’s who would like to get introduced to the basic market terminologies and concepts. It provides knowledge fortification & exposure to practical application for graduating students, serving as an effective resume builder and ideal preparation for their future career. New Investors, Retail Traders, and Financial Service Professionals shall also benefit from this course as not only do we provide the theoretical knowledge but also the mentoring and training guidance, to help each student achieve their goals for investing or trading. It offers all the benefits of being online, thus helping students learn at self-paced and continue studying while working. After successful completion of the course, the students will need to appear for an online examination, hosted on the website of www.elearnmarkets.com. •Once the student successfully clears the examination, the Certificate of Completion will be generated. •Qualifying Marks: 40%. No negative marking for this course.